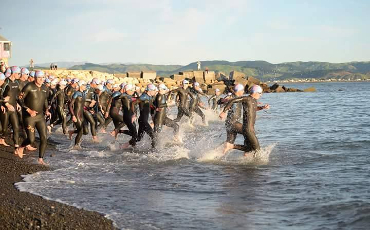 Starting with a sheltered 2km Ocean swim with Napier Port as its backdrop you will then head out on a 95km bike with the Ocean on your left looking out over Cape Kidnappers. 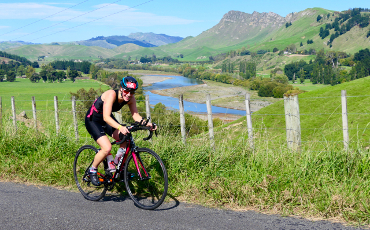 The bike course then heads inland where you will take in some stunning scenery heading around the Tuki Tuki Valley before heading back to Napier. From here you will head out on a 21km run which will consist of 2 laps on the Rotary Pathway past many of Napier’s attractions. The 2km Ocean swim will start on the shoreline and will be 1 lap in a clockwise direction. 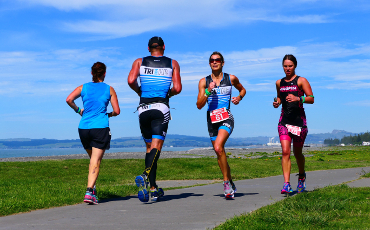 This 95km course takes you out of Napier passing many of the attractions that it has to offer. Heading out to the Tuki Tuki Valley which was voted one of the top 10 rides in New Zealand. With stunning views that take you past Te Mata Peak you will complete the undulating valley loop twice before returning to Napier. The 21km run consists of 2 laps on the Rotary Club pathways on Marine Parade. This spectator friendly course has stunning views and everything that the Art Deco capital has to offer. The Napier Port Harbour to Hills triathlon is established in conjunction with Triathlon Hawke's Bay along with Napier City Council and our invaluable sponsors.